The long wait is over as the George Washington Colonials return to the NCAA Tournament for the first time since 2008. 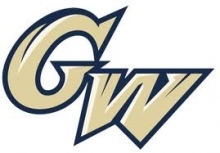 GW has to travel across the country for their appearance, as they face a tough Gonzaga Bulldogs team in the First Round of the Spokane Region. It has been 12 days since the Colonials thrilling comeback win against Dayton to capture the Atlantic 10 Tournament title and automatic bid to the Big Dance. GW was fueled by Jonquel Jones‘ incredible second half performance, in which she scored 16 of her 21 total points, including four three-pointers, en route to being named the Atlantic 10 Championship’s Most Outstanding Player. Caira Washington and Hannah Schaible were also integral parts of the Colonials’ rally from an eight-point halftime deficit and joined Jones on the All-Tournament Team. Today’s matchup with 11-seed Gonzaga, the first ever meeting between the two programs, is by no means an easy one. In fact, the Colonials may have drawn the toughest of the 11-seeds in the field as Gonzaga boasts a potent offense that is backed up solid defense and excellent team rebounding. The Bulldogs are led by Sunny Greinacher, the WCC’s 10th leading scorer at 13.7 points per game on 48.5 percent shooting, good for third in the conference. She also grabs 6.0 rebounds per game and, in combination with leading rebounder Shelby Cheslek (8.5 rpg), forms a potent duo on the boards that will present challenges to the Colonials’ front court of Jones and Washington. Keani Albanez is another offensive weapon the Bulldogs lean on, especially from beyond the arc, where she made a team-best 58 three-pointers. Schaible, Shannon Cranshaw, and Brianna Cummings will need to be locked in and use their length to shut down Albanez from the outside if GW wants to prevail in this first round matchup. Make no mistake, the matchup with Gonzaga, on paper, shows that the game could be a difficult one. Gonzaga has suffered its share of disappointment in the last couple of years, having been upset in the semifinals of the WCC Tournament by eventual champion BYU and having been upset in last year’s NCAA Tournament as a 6-seed by 11-seed James Madison. 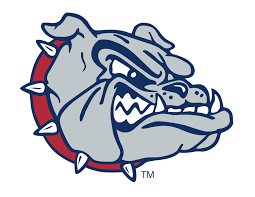 The roles are now reversed for the Bulldogs, with Gonzaga coming in as the lower-seeded team and there is no doubt that they will be fired up to right the wrongs of last year. As for the Colonials, today marks the return to the NCAA Tournament and, hopefully, the beginning of an era that hearkens back to the days of Joe McKeown. Jonathan Tsipis has done an incredible job turning this program around in three short years. More importantly, he knows from his days at Notre Dame what it takes to win in the postseason. We saw it at the Atlantic 10 Tournament and now we get to see it on display at the NCAA Tournament. GW may have gotten the worst draw of any team in the dance, but don’t expect Tsipis and company to use that as an excuse. As he said in his press conference yesterday, they have been playing with a chip on their shoulder “since the beginning of the season.” As long as the Colonials play their game and can dictate the pace and style of play, there is no reason why GW cannot move on to the second round. WRGW’s coverage live from Corvallis will begin at 7:20 with tip off tentatively scheduled for 7:30 pm on gwradio.com. Posted on March 20, 2015, in Campus, GW Basketball, Women's Basketball and tagged Brianna Cummings, Caira Washington, Gonzaga women's basketball, GW women's basketball, Hannah Schaible, Jeff Pawling, Jonathan Tsipis, Jonquel Jones, Keani Albanez, Shannon Cranshaw, Shelby Cheslek, Sunny Greinacher. Bookmark the permalink. Leave a comment.